Every website needs an SEO plugin. More specifically, every website needs our SEO plugin. For most websites, Google is the most important source of visitors. No matter how important social networks can be for a site, SEO is often the most important factor for a site’s growth. Not following SEO best practices, or not doing SEO at all, can be quite detrimental to your site’s performance. So, let me explain why every site needs Yoast SEO! Yoast SEO does much more than handle titles and descriptions for a website. From rel=canonical to XML sitemaps, from rel=next and rel=prev to JSON+LD, we’ve got your back. If you don’t know what all these things are: that’s OK! We do, and we’ll make sure to do them right, for you. There are a ton of “hidden features” in Yoast SEO. Without the need for user intervention, Yoast SEO solves a lot of technical SEO issues that your site might otherwise suffer from. Every site that wants to be found in search engines benefits from these features. Every site needs them. That’s why these hidden features do not need settings. They are set in the same way for every website. Some features need to be set by the site owner or user, though. In those cases, we’ll give you the option to change it. Have Team Yoast install and configure Yoast SEO premium for you! 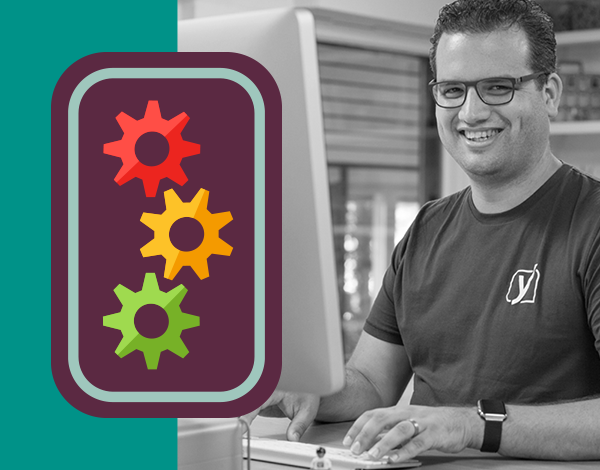 Yoast SEO is built by a team of professional developers, many of whom contribute to WordPress core too. But on top of that, we’re professional SEOs. I have been a professional SEO for more than ten years. I’ve done some of the biggest SEO projects in the world, like the migration of the Guardian from guardian.co.uk to theguardian.com. Our team of SEO experts has reviewed thousands of websites and helped them grow, as you can see in some of our case studies. All that knowledge is used to improve Yoast SEO. Our SEO experts follow every announcement from Google. Weigh it. Test it. Check what it means. We then decide whether or not to make changes to our plugin to keep it up to date. As Google does hundreds of algorithm updates every year, this is a continuous process. We update our plugin very regularly because of these changes. Because Yoast conscientiously follows all the SEO news and makes sure that the plugin is adapted to the SEO changes, you don’t need to do anything! You do not need your web developer to make SEO changes all the time. That’s the beauty of the WordPress plugin system: you can outsource your SEO to a team of pros. In the past years, the number of plugin installs of Yoast SEO has grown immensely. On professional hosts like WP Engine, we’re the most installed plugin. Many sites like SearchEngineLand, The Next Web and the New Yorker use Yoast SEO. And did you know that even NASA recommends you to use Yoast SEO? At Yoast.com, we focus a lot of our posts on how to write good content. Of course, technical SEO is of great importance, but our plugin already takes care of all that. What’s left for you is to write content that ranks and converts. We try to help you do that, with our eBooks, courses and blog posts. So, install Yoast SEO and keep it up to date. And of course, subscribe to our newsletter. That way, when there are things that we can not fix for you, we can tell you to change them.